Tote along our 6 Pocket Mini Bingo Card Designer Bag. This festive bingo card designer bag available in four colors is a DELUXE Bingo Bag made of the highest quality heavy vinyl textured material and craftsmanship. This bingo bag measures 10" high by 16" around and can hold all your Bingo supplies. Each bingo bag has a cloth drawstring to close the top for easy carrying and a strong carrying strap. 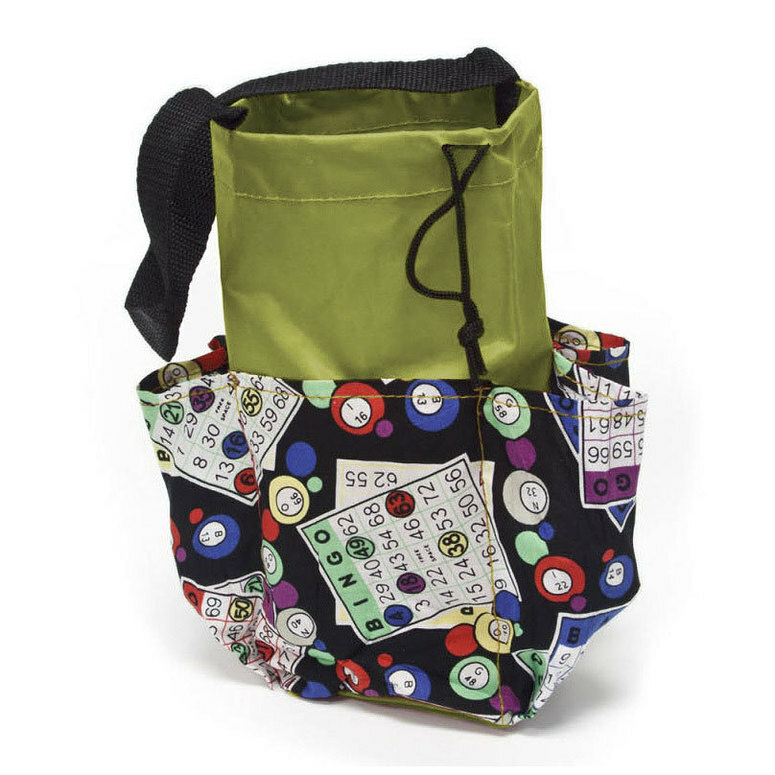 There are 6 pockets for daubers, knick-knacks and more including one large center pocket for all your Bingo goodies. A Bingo Bag is the perfect gift for any Bingo lover. Your special someone will love this quality printed Bingo Bag. 10" high by 16" around. Heavy vinyl material bag with draw string cord. Bingo bag has seven deep compartments that hold bingo daubers around the outside.